We need water to live, and as we coastal dwellers know, it is essential for our soul. But this is not the case when it comes to our skincare products. Creams and lotions, even those claiming to be all natural, contain water--a lot of water. Water itself is not bad. We need water. It sustains life. But herein lies the problem. Water sustains life, but can also promote the growth of harmful bacteria, something we don�t need in our skincare products. If there is any kind of water in a formulation, a preservative must be used, and there are no all-natural preservatives. 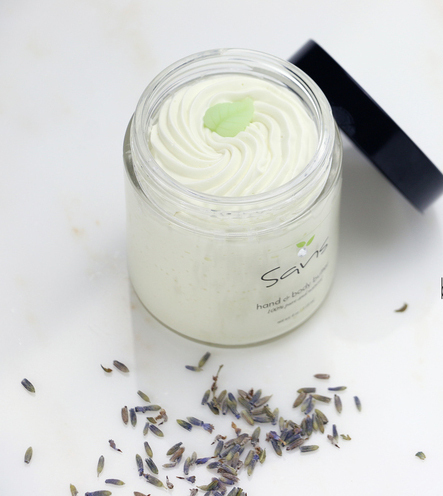 Any chemical preservatives that are being used in many skincare products are profoundly bad for our bodies. 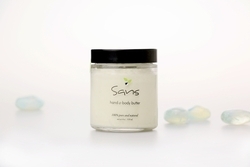 Cottage and Bungalow brings you Sans Skincare products which are made with essential and pure plant oils, plant butters, and other pure and wonderfully natural ingredients. 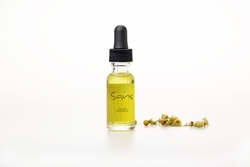 Renan started creating her Sans Skincare line for her mother who was going through chemotherapy. Sans means�without. Without chemicals, that is. Sans is healthy. Every single ingredient used is beneficial for the body. 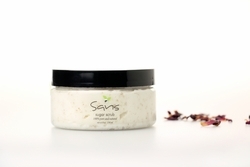 Every single ingredient nourishes the body with the plant's own nutrition, and every single ingredient matters.